In very fancy Ukrainian letters, this says “Jesus is Risen. He is Risen Indeed.” May God be glorified here and throughout the world. 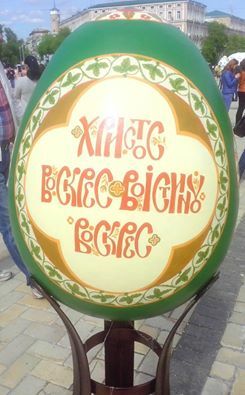 Happy Easter from Ukraine!